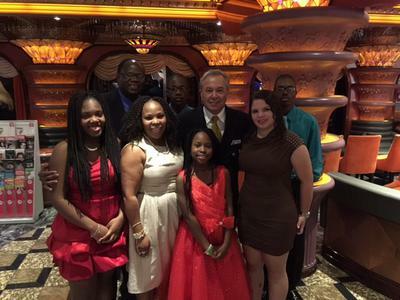 It was time for cruise number seven (7) aboard a Carnival ship. The vessel was to be Carnival Elation. I knew before sailing that this was a smaller ship and after cruising on bigger Carnival ships, I did not expect much. 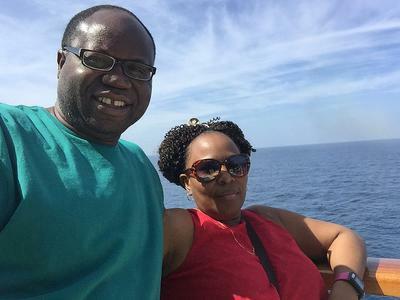 We set sail aboard Carnival Elation for a 5-day Western Caribbean cruise from New Orleans to Cozumel and Progreso, Mexico in February 2016 and were surprised. We were in for a better than expected Carnival Elation cruise. One of the first things I check out upon boarding a cruise ship is the atrium. I am always amazed at how great a job the designer does in making this area. Carnival Elation did not disappoint. You will enjoy the 6-level high atrium area. In addition to the atrium, I was impressed with the dining rooms, the theater (for the main evening shows), Tiffany's (buffet restaurant), and City Sports Park (mini golf and jogging area). 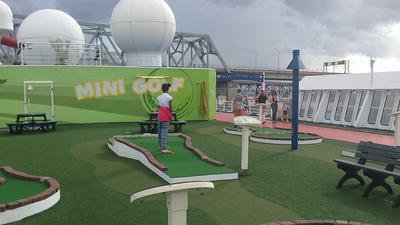 In fact, the mini golf course was the best one I've seen on a cruise ship. I must hasten to point out that even though Carnival Elation is a smaller ship, they managed to fit in The Serenity (adult-only area). One other impressive feature was a game center above the pool area. Here I found two stationed ping pong tables and a human size chess board. I have not seen this on any other ship! Let me talk about other some things I enjoyed on this better than expected Carnival Elation cruise. Food - The dishes aboard this ship were as delectable as on other Carnival ships. The dining room service was great and so was each meal we had there. I did notice two things: 1. On the night of the Captain's Celebration, we were not given a choice of lobster tail on the menu. This is something we have always enjoyed on a Carnival cruise, but not on this one. 2. The buffet choices appeared to be limited on this cruise. I am not saying that we did not have enough, but I noticed a slight difference. Entertainment - Carnival is known for good entertainment. The nightly production shows were fine - although not my cup of tea. The comedians were just okay. Sometimes I wonder if they cannot find better comedians. I did not attend the adult-only shows, so cannot speak to those. Even so, I do not believe that comedians have to be crass and profane to get laughs. Lounges & Amenities - I mentioned earlier that Carnival Elation has Serenity for adults only. I was pleased to see that and even spent some time there with my wife, enjoying the hot-tub. You will love the lounges onboard, such as the Romeo & Juliet Lounge and the Cole Porter Club. There is also a nice library, where you can relax and play board games or read books. The kids also have their play areas (Camp Carnival, Circle C and Club O2). Our exchange daughter from Brazil really enjoyed Club O2 for teens. Yes, Carnival Elation is among Carnival Cruise Line's smallest ships, but you will not really notice a big difference. 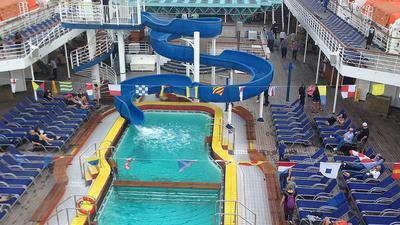 Sure enough, there is only one pool onboard and the slide is not as big as on other ships. However, the ship's offerings made for a great Western Caribbean cruise. 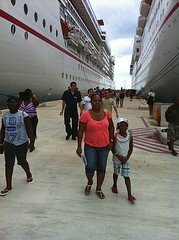 I believe that like us, you will come away saying that this is a better than expected Carnival Elation cruise.